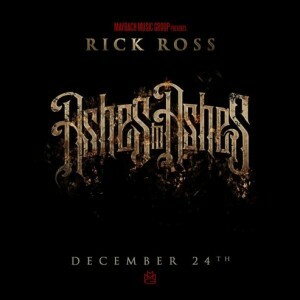 Rick Ross is preparing to release a new mixtape Ashes to Ashes and has been dropping some preview tracks for us. Here he teams up with the Pittsburgh native Wiz Khalifa. The mixtape is set to drop Christmas eve for fans. Ross has some decent verses on this track, and it is a good beat. Unfortunately, Khalifa does not have any verses he just does a chorus. Listen Below.